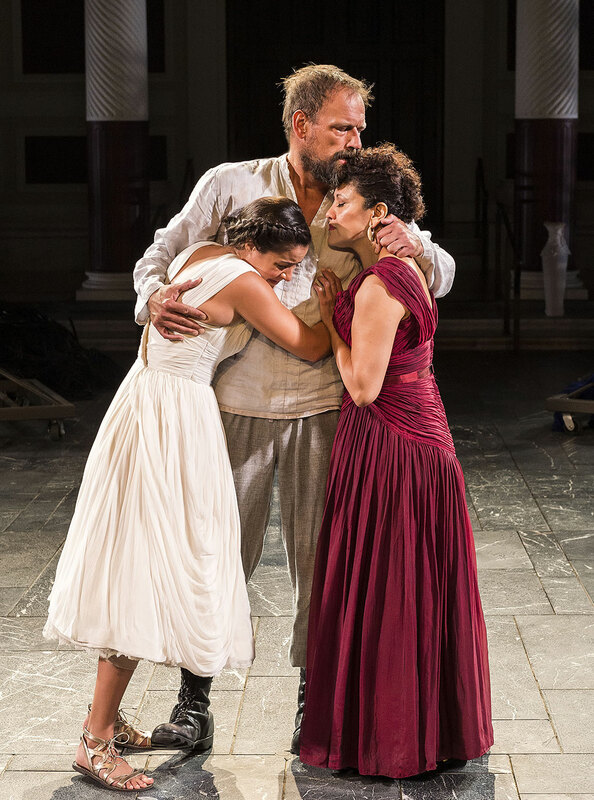 For our West coast friends or those planning a trip to the golden state, consider visiting The Getty Villa for the remount of Court’s Iphigenia in Aulis. Each fall, the Outdoor Theater at The Getty Villa series features a classical tragedy or comedy in the Villa’s dramatic Barbara and Lawrence Fleischman Theater, an outdoor venue modeled after ancient Greek and Roman theatres. These productions are drawn from respected theatres across the nation, and an invitation to the Getty Villa is a highly-sought honor for theatres producing classical works. Court Theatre is honored to remount our production of Iphigenia in Aulis at the Getty Villa stage in Malibu, California. Tickets and information are available at The Getty Villa website. 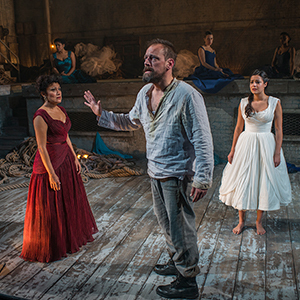 Iphigenia in Aulis was translated by respected classics scholar and Court Founding Artistic Director Nicholas Rudall and updated for the 2014 production. At the Getty, Charles Newell, Marilyn F. Vitale Artistic Director, will lead this reprisal of the original production along with returning cast members Mark L. Montgomery as Agamemnon, Sandra Marquez as Clytemnestra, and Stephanie Andrea Barron as Iphigenia. Iphigenia in Aulis tells the story of the Greek general Agamemnon, who sets a course westward to begin what will become known as the infamous Trojan War and is stranded with his fleet in the middle of the Mediterranean. The goddess Artemis has killed the winds, and the only way for Agamemnon to appease her and win glory in Troy is to offer an impossible sacrifice: his own daughter. This summer, Court Theatre was honored to remount its production of Iphigenia in Aulis at the Getty Villa stage in Malibu, California. 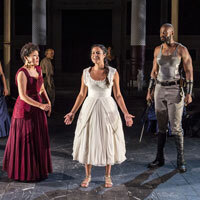 The reprisal of Iphigenia was not so much a remount as a new production—the same translation and team, but with a different set of questions and challenges. 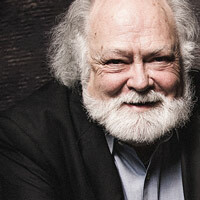 Court Theatre and its Trustees are honoring Founding Artistic Director Nicholas Rudall. The Nicholas Rudall Endowed Fund will support the production of classical theatre at Court Theatre and ensure that Nick’s legacy will become a permanent part of your future, and Court Theatre’s future. Sunday, September 10, Court’s Founding Artistic Director Nicholas Rudall will speak about the three plays he translated for Court ’s Greek Cycle: Iphigenia in Aulis, Agamemnon, and Electra.